Bring the family and spend the day at James Lee Memorial Park! There are plenty of activities for all at James Lee Memorial Park. James Lee Memorial Park facilities include: Skate Park, Playgrounds, Gazebo with picnic tables and barbecues, (2) Tennis Courts, Basketball Court, (2) Baseball/Softball Fields, Soccer/ Football Field, Exercise Course, Dog Park, Hiking/Biking Trails, US Forest Service Trailhead, 18 hole Disc Golf Course, Concession Stand and Restrooms. For facility reservations, please contact the District office at (775) 267-2805. Permits are issued on a first come, first served basis and are issued upon approval. 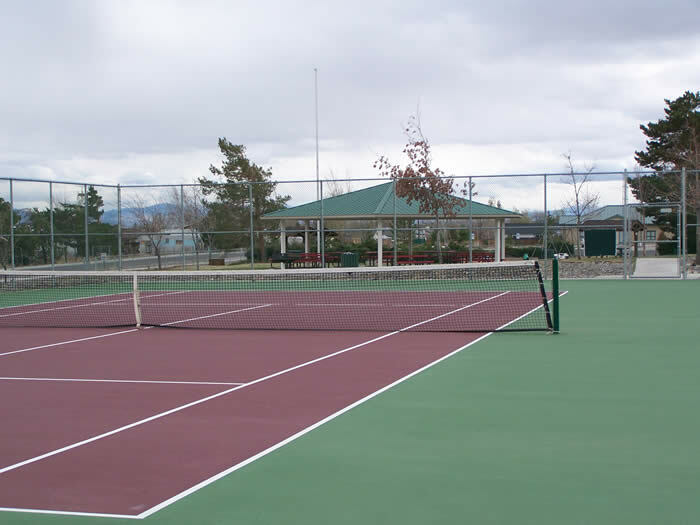 The Parks and Recreation Department programs will have priority for any Park facility. To download a reservation permit, Scroll down and click on " "Special Use Permit & Fee Schedule." The District's Park and Recreation Policy states "No person shall hold, conduct, participate in, attend or address any meeting, organized gathering or assemblage, group picnic, celebration, parade, organized sport league, service or exercise involving twenty-five (25) or more persons in any park without acquiring a special use permit from the District as provided in this Policy." Purchase a banner today to advertise your business on your choice of Ball Field #1, #2 or #3. Cost of each sign is $300 annually. To download a banner sign in form, scroll down and click on "Ballfield Banner sign in" below. 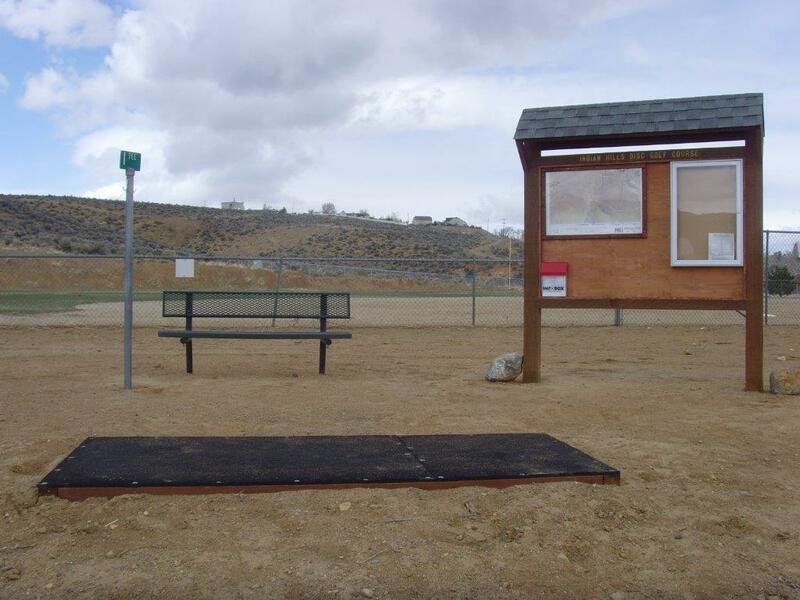 With the help of several volunteers, nearly $4,000 in donations and the coordination from resident Mike Holcomb we are pleased to announce that James Lee Park now has the first Disc Golf Course in the Carson Valley. The pathways and basketball court have been repaved. 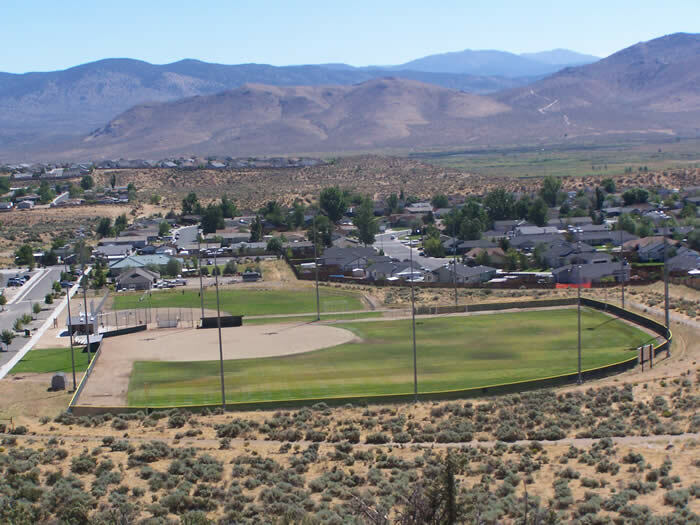 Valley Vista Park offers a grand vista of the Carson Valley to the south, Carson Mountain Range to the west and the Pinenut Mountain Range to the east. Located on Vista Grande Blvd. directly behind the Home Depot. 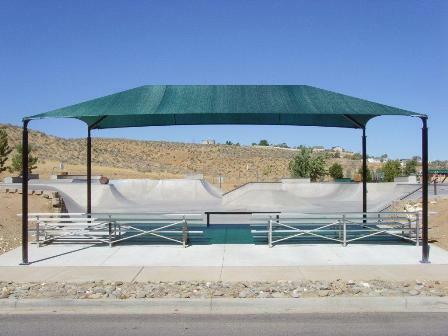 The park offers a Gazebo, picnic tables, benches, a grass area to just sit and relax and plant species that grow well with minimal water in our desert climate. Files are in Acrobat PDF format. In order to view the information, you must have Acrobat Reader installed on your computer. If you don't have it, click the icon below to download it for free.